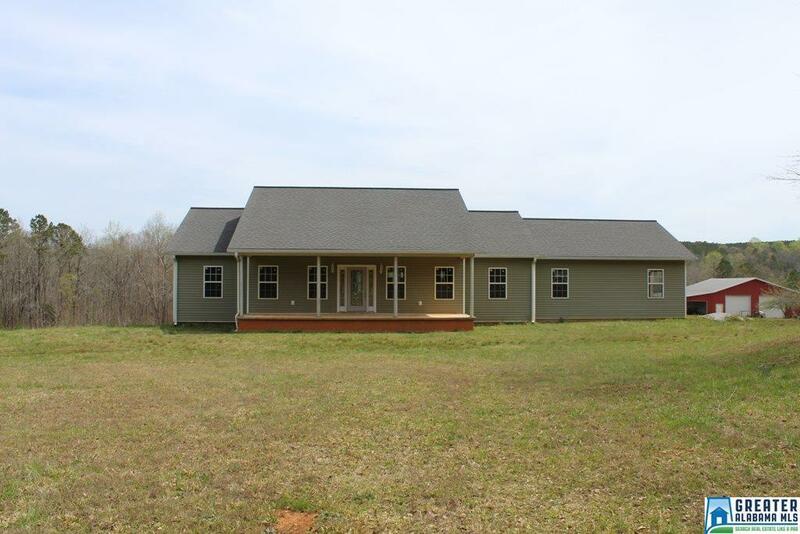 Newly built spacious home boasting 3800 sq ft on 28 beautiful acres! This ranch style home is located in a peaceful country setting. It is unfinished and waiting to be called home! It is all framed up with 2x6 outside walls. You will find two bedrooms upstairs along with two bathrooms, an office space, living area, kitchen and breakfast area, formal dining room, and a sunroom with a beautiful view of the land, including a one acre pond with your own dock. Off the sunroom is a deck overlooking the property as well. Downstairs is a full basement with 4 bedrooms and one bathroom. You will also find a second living area. Outside, there is a 40x60 metal shop and a huge barn with storage capacity galore! Beautiful fruit trees decorate the property along with muscadine vines in the garden with water lines ready for all your gardening needs. If you are looking for privacy and beautiful acreage, this is it!